DEA • Virginia Bauskett Ward booked Saturday on suspicion of drug possession. A Salt Lake City justice court judge is on administrative leave after being arrested on suspicion of drug possession. 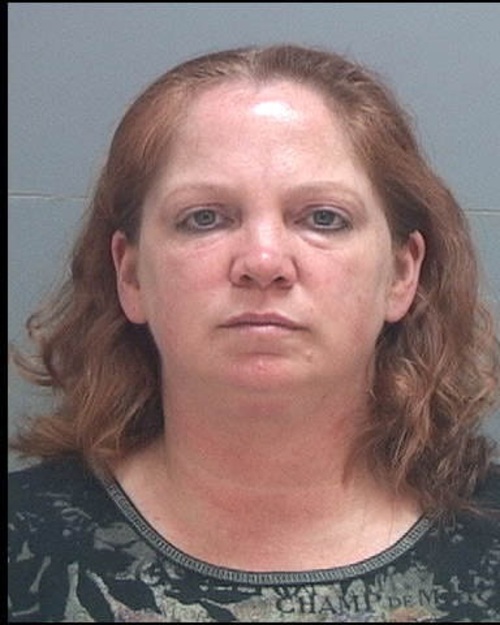 Virginia Bauskett Ward, 45, was booked into the Salt Lake County jail on Saturday on suspicion of possession of synthetic narcotics. According to a booking log, Ward was booked into the jail just before 9 p.m. on Saturday by a federal Drug Enforcement Administration on suspicion of a felony crime. However, as of Monday afternoon, no charges had been filed against the woman, who has been a judge in the Salt Lake City Justice Court since July 2002. According to a probable cause statement filed at the Salt Lake County Jail, Ward allegedly received 338 Oxycodone tablets via the U.S. Postal Service. She allegedly intended to deliver the drugs to another person for distribution, according to the statement. On Monday, Utah State Courts spokeswoman Nancy Volmer released a statement that said Chief Justice Matthew B. Durrant has placed Ward on administrative leave pending the outcome of impending criminal charges. "On April 1, the court became aware of Judge Ward&apos;s arrest and took immediate action to suspend her," the statement reads. "She will remain on administrative leave pending the outcome of the charges." According to a biography on the Utah State Courts website, Ward received a Juris Doctorate degree from the University of Utah in 1993 and worked as a senior assistant prosecutor in Salt Lake County from 1994 to 2000. Ward has managed the Salt Lake City Justice Court&apos;s Focus Program, which handles repeat DUI offenders, according to the bio. She is a judge in the Salt Lake City Justice Court, and is the chair of the board of directors for the Utah Law-Related Education Project. Judges can only be reprimanded if they are convicted of a crime. Colin Winchester, executive director for the Utah Judicial Conduct Commission, said that, generally speaking, the commission makes a recommendation to the Utah Supreme Court for disciplinary action ranging from a reprimand to removal. The Supreme Court ultimately decides what action should be taken against a judge.